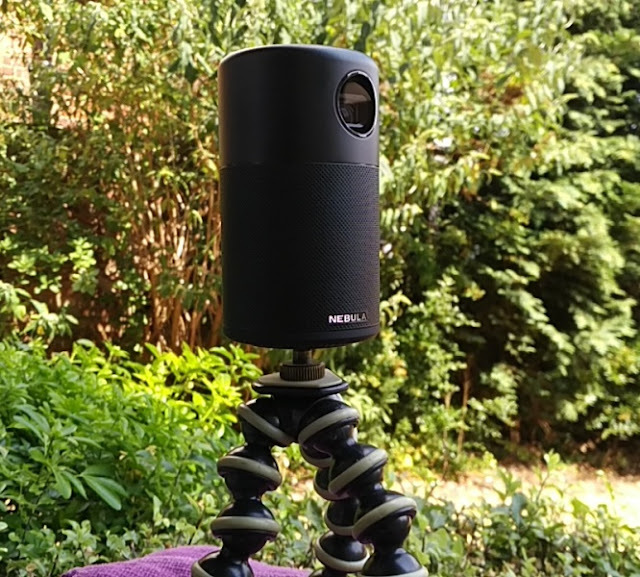 To cram more in the shot when shooting with a phone camera, you need to be shooting in wide angle, it's as simple as that! 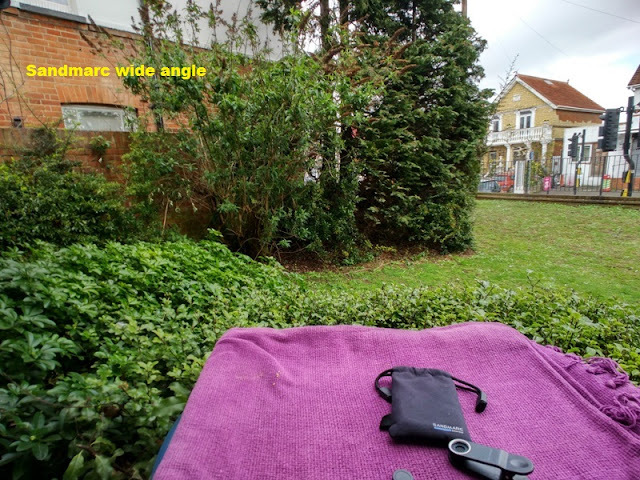 There are three ways you can go about shooting wide angle and the obvious ones are using a phone camera's wide angle lens and/or panorama mode. 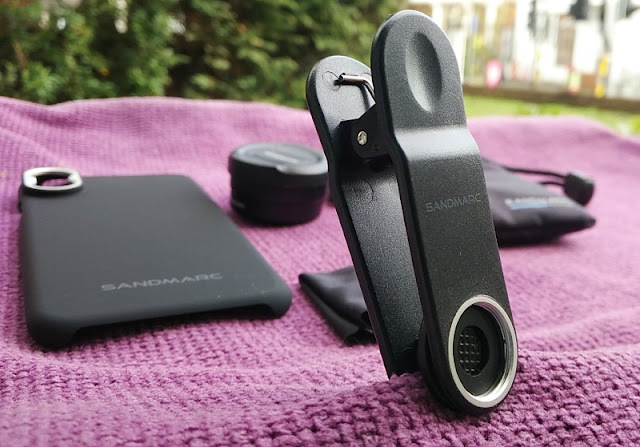 The third way of shooting in wide angle is with a clip-on wide angle lens such as the Sandmarc 16mm wide angle lens. 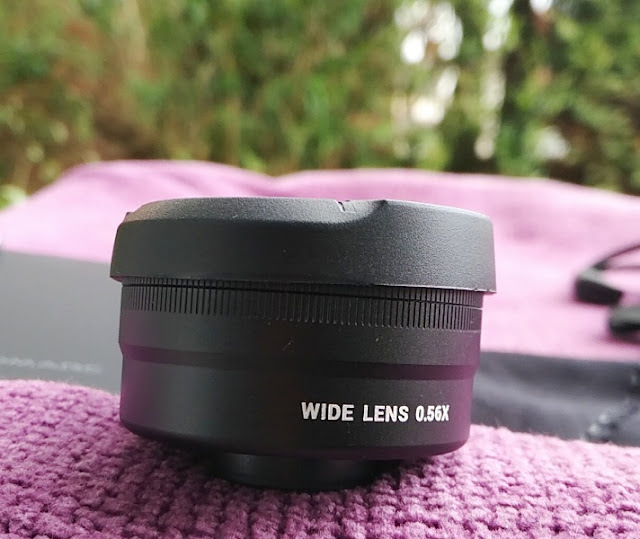 When buying an add-on wide angle lens it's worth knowing that lenses below 35mm are wide angle lenses, while lenses below 24mm are ultra wide angle lenses. 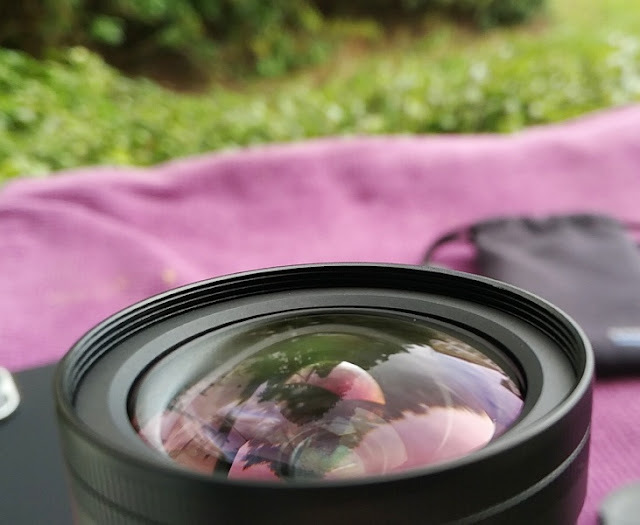 A wide angle lens is extremely useful in photography when one cannot back up any farther from the subject. 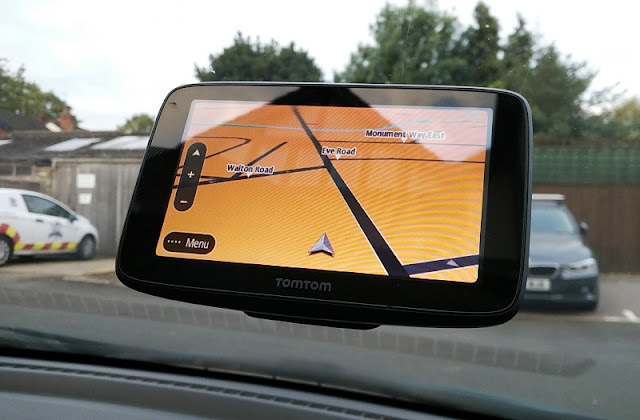 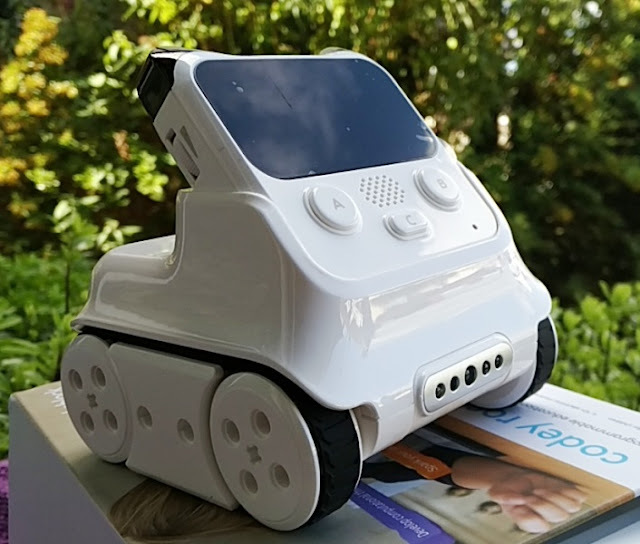 Not all all smartphones come equipped with a wide angle lens and the phone cameras that do come equipped with a wide lens can benefit from an add-on wide angle lens to improve their field of view (FOV). 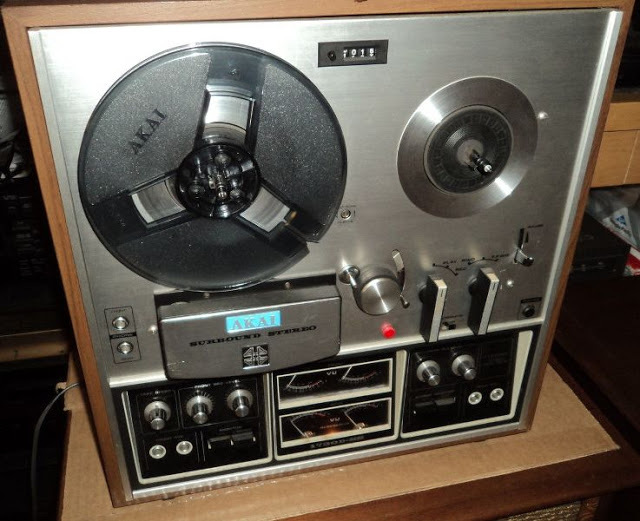 Take for instance the iPhone X. 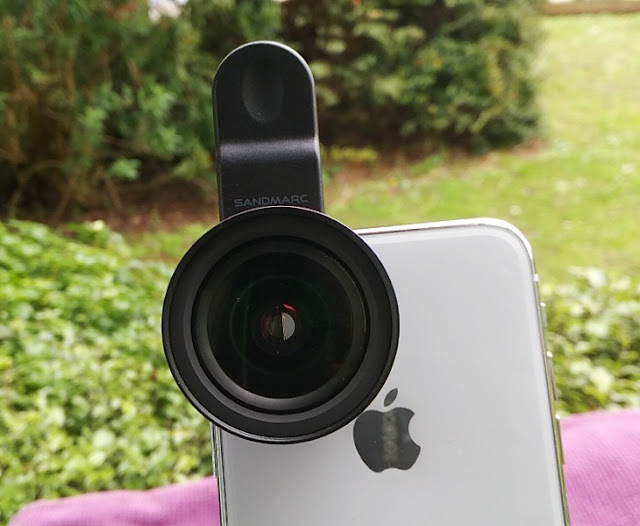 It comes with a 28mm wide angle lens but when compared to the ultra wide angle lens of the LG V50 and Huawei Mate 20 Pro which have a focal length of 16 mm, the iPhone X wide angle lens falls behind the flagship smartphone competition. 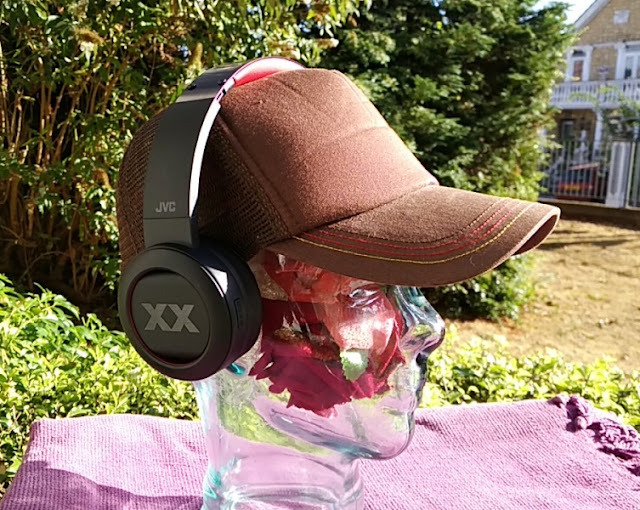 Perhaps, that's the reason Apple discontinued the iPhone X. 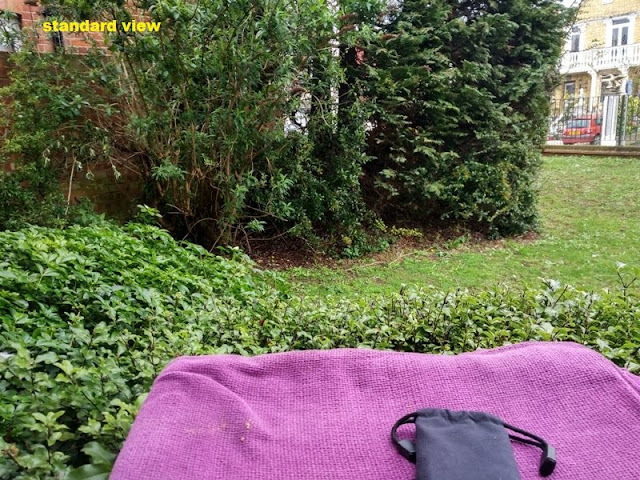 Even the newer iPhone XS 26mm wide angle isn't much of an improvement. 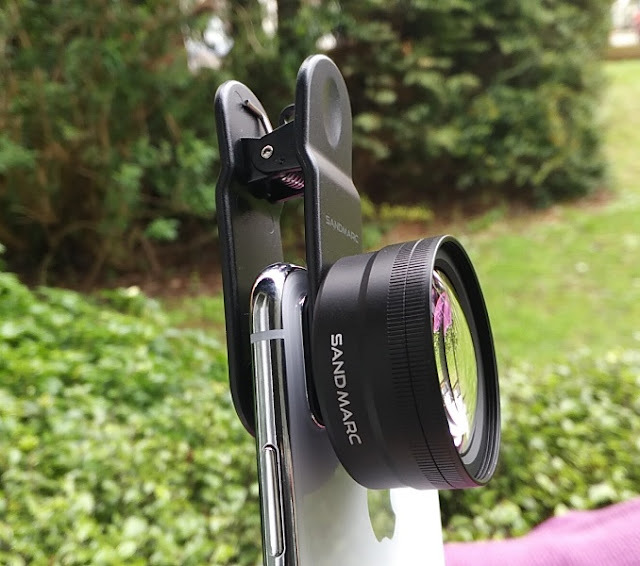 Luckily for iPhone X users, there are third party add-on wide angle lenses that increase the field of view of the iPhone X and as a result improve the wide angle view (the Sandmarc lens provides 2x wider capture). 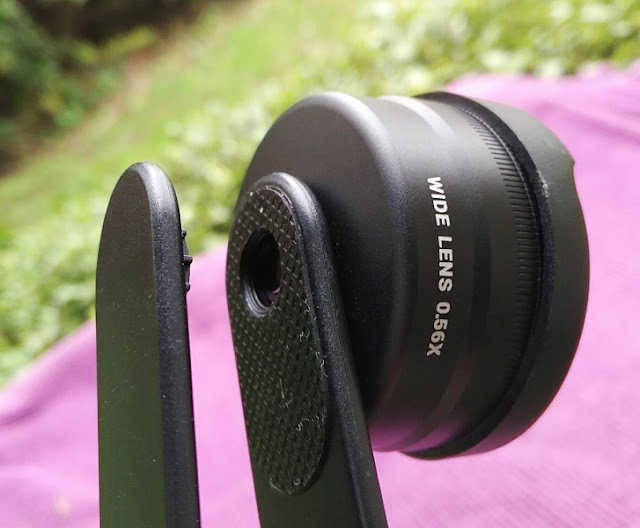 If your budget is limited though, the cheapest way to shoot wide angle with your current iPhone X camera would be using panorama mode unless you are planning on shooting a lot of moving images, that is. 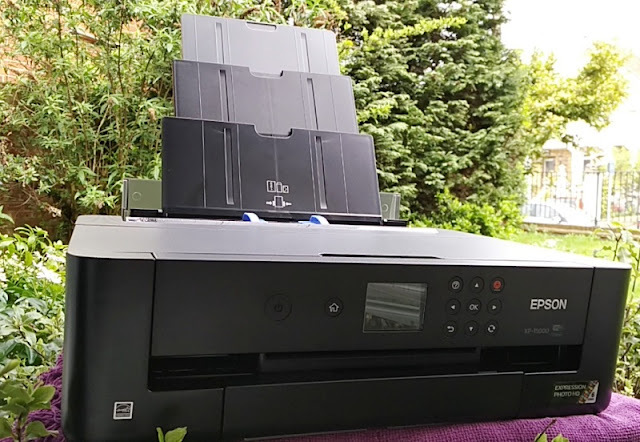 When shooting wide angle using the panorama mode of your mobile phone you have to stitch the shots together with software, which is not a problem. 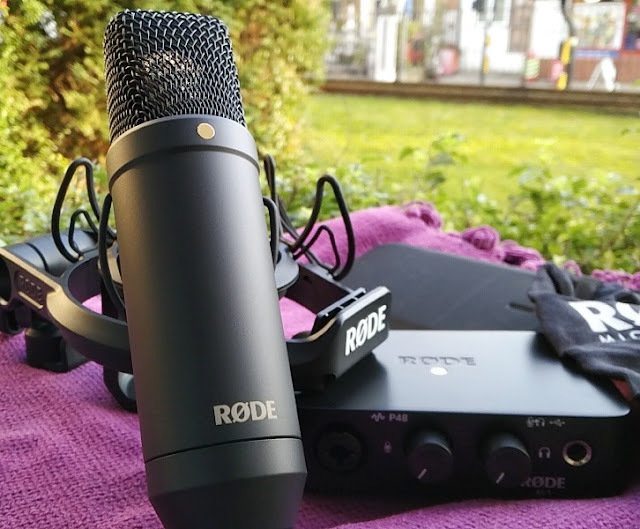 However, stitching shots together takes time because you have to stitch pictures 'next to each other' and also 'above each other' if you want to get a similar result to shooting with a wide angle lens. 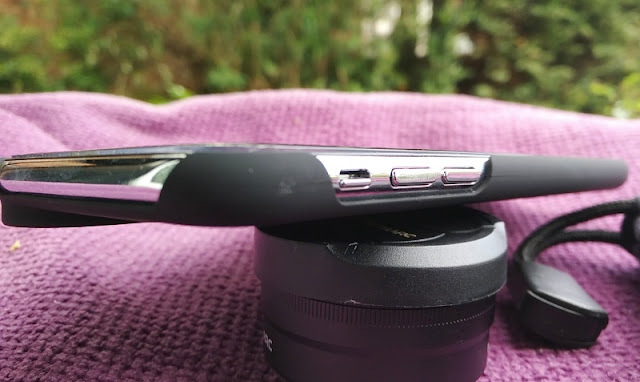 Also, to get the perfect set of images for stitching you will need a tripod for stability as hand-holding the phone won't cut it. 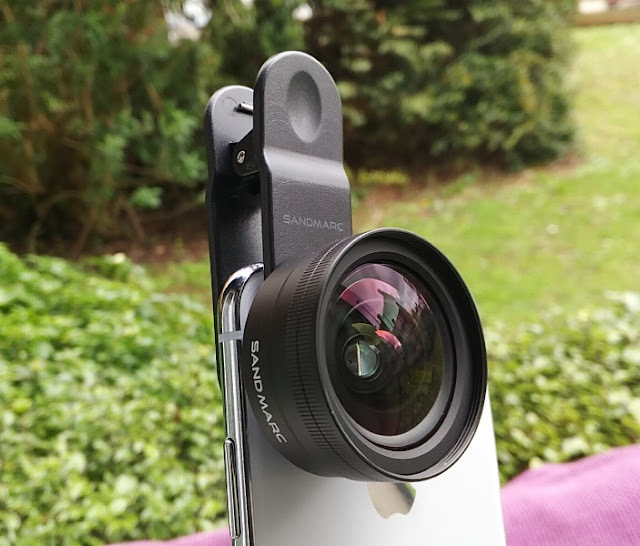 This is where a wide angle lens add-on like the 16mm wide angle lens by Sandmarc makes a lot of sense because it improves the iPhone X native wide angle lenses and provides 0.56x magnification (you can also attach this lens to the telephoto lens). 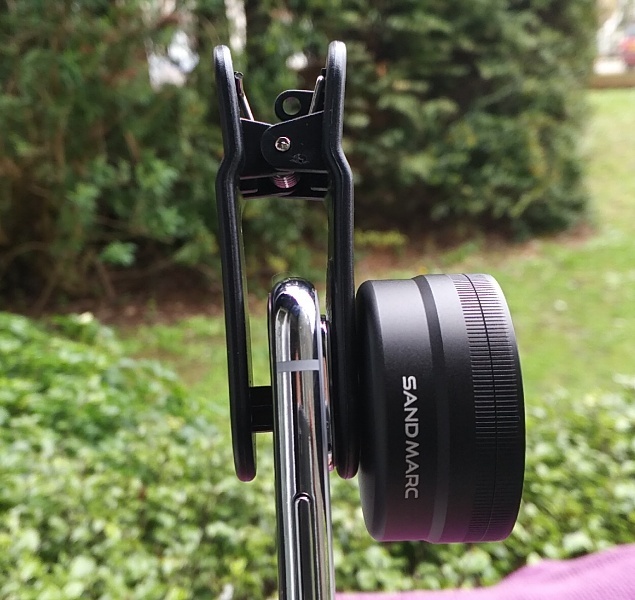 It's nice that Sandmarc includes a clip-on and case to screw on the lens which is definitely the more secure setup. 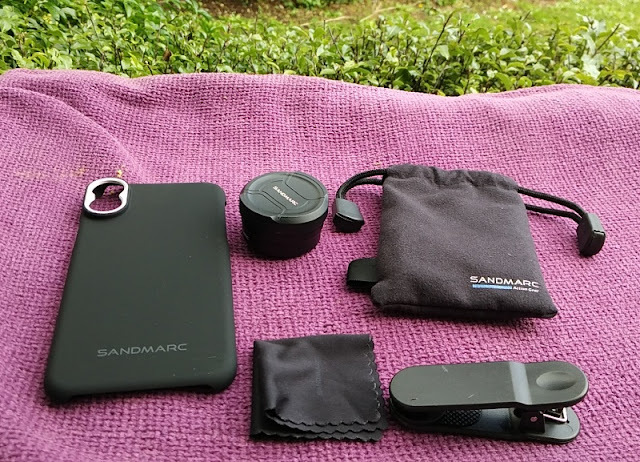 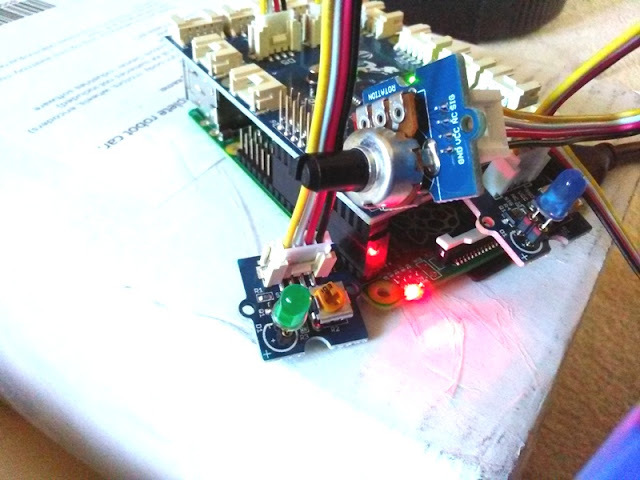 The clip-on makes the setup quicker but it's a temporary solution and not as secured whereas the Sandmarch case gives you more security. 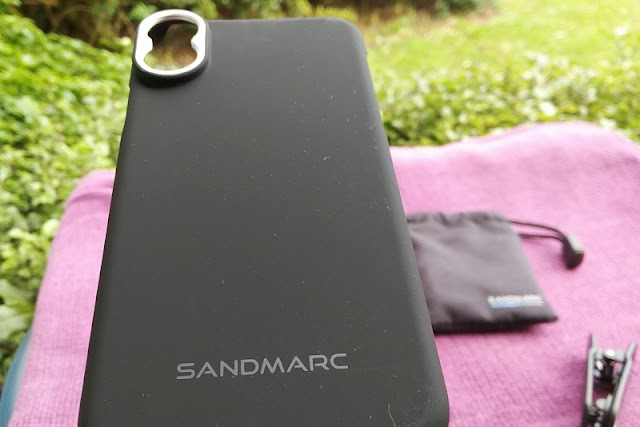 The Sandmarc iPhone X case appears to be made of TP rubber because of the rubberized feel that is soft to the touch. 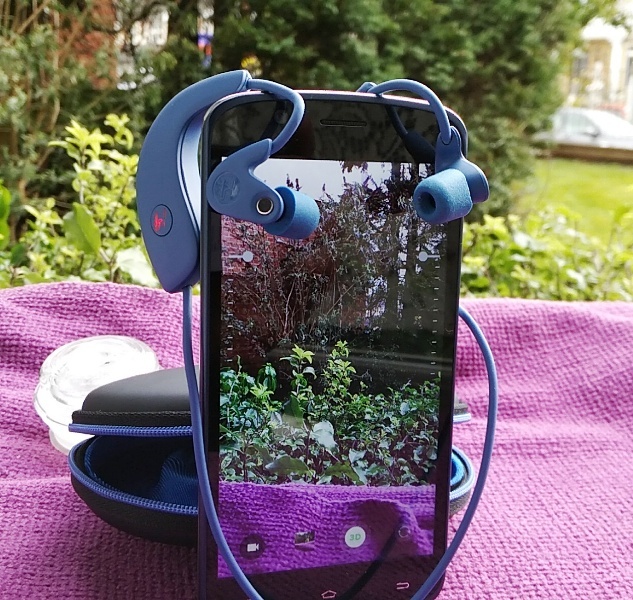 The case is sturdy although it's not as shock-absorbent as, say, the UAG Monarch phone case. 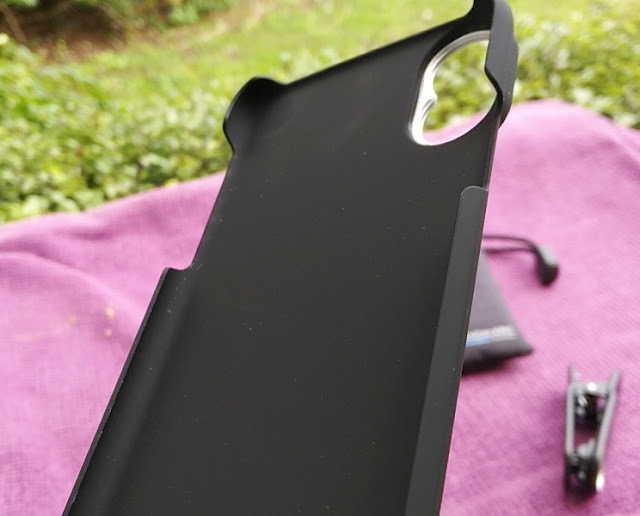 But as a protective case, the Sandmarc iPhone X case does an overall good job because of the raised overlap edges to protect the screen. 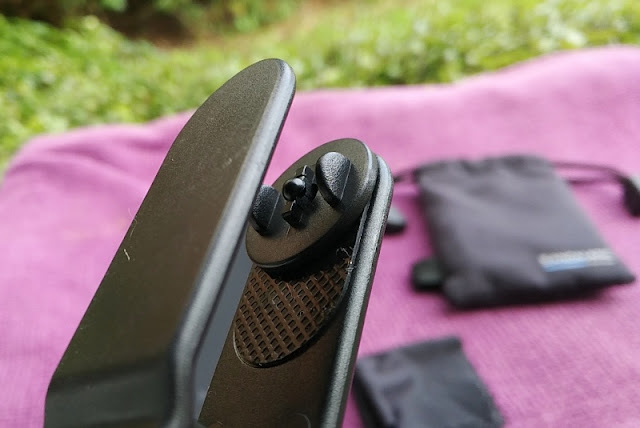 The threads on the case where the lens screws in are made of metal so the threading feels durable. 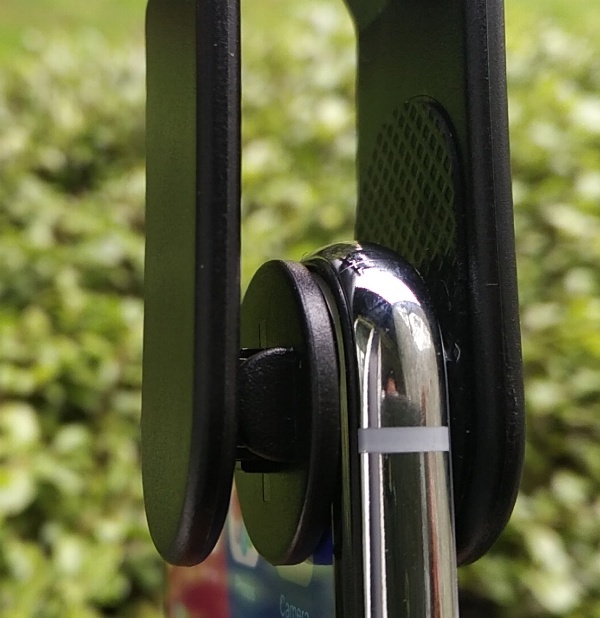 Both the clip-on and case attachments bulk up and weight down your phone (the lens weighs 70 grams). 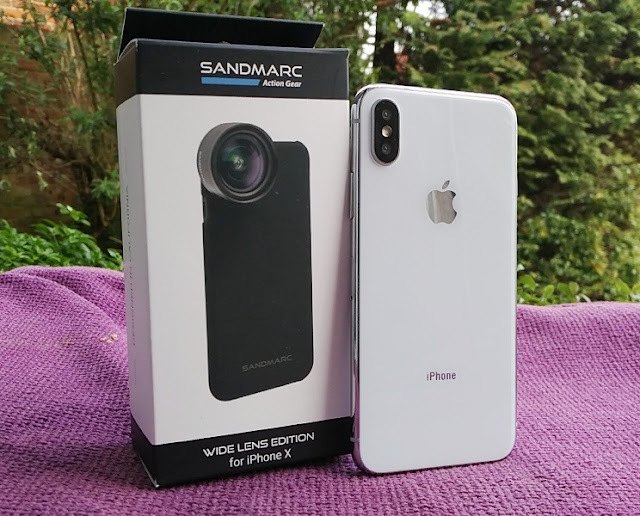 The Sandmarc iPhone X wide angle lens has a height of 24.2 mm and a diameter of 42 mm so it notoriously protrudes from the iPhone X body. Of course, compared to a DSLR wide angle lens setup, the Sandmarc iPhone X wide angle lens is a drop in the ocean because it has a much smaller footprint. 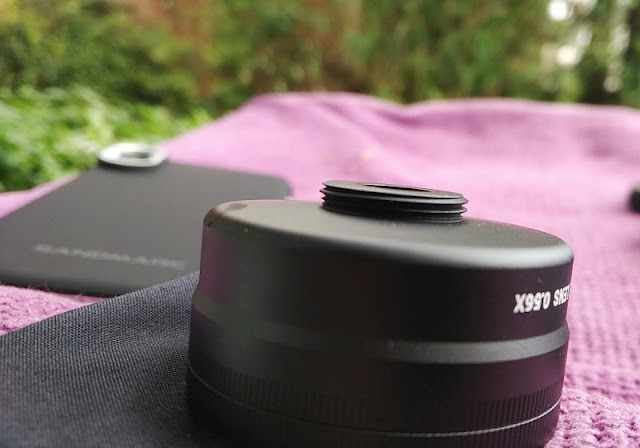 Adding the Sandmarc lens to your iPhone X setup will set you back a fraction of having to upgrade to a 16mm wide angle phone like the LG V50 which is expected to cost £1000 (iPhone X cost £600). 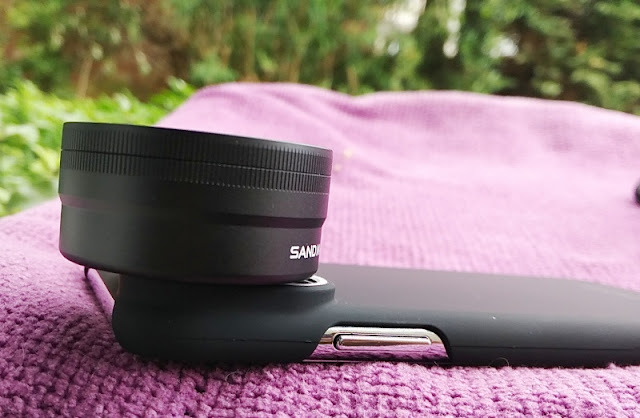 The Sandmarc iPhone X case with wide angle lens has multi-coating that includes antireflective coating designed to minimize lens reflections, improve clarity and protect the lens. 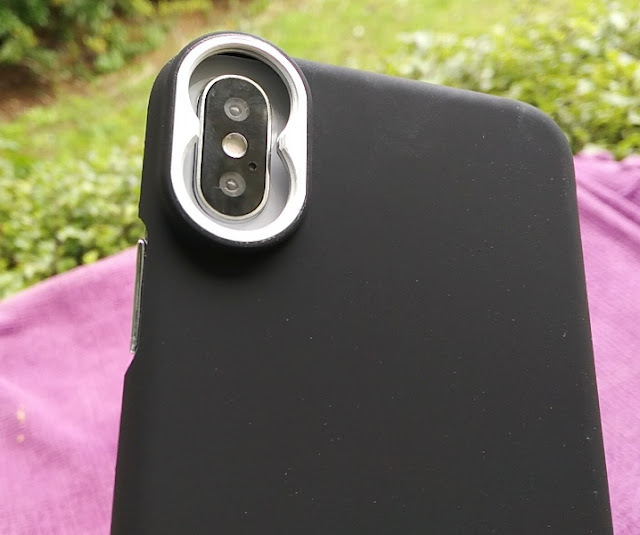 The body of the lens is made of a solid block of aluminium with a smooth black finish that matches rather well with the Sandmarc case which fits the iPhone X like a glove. 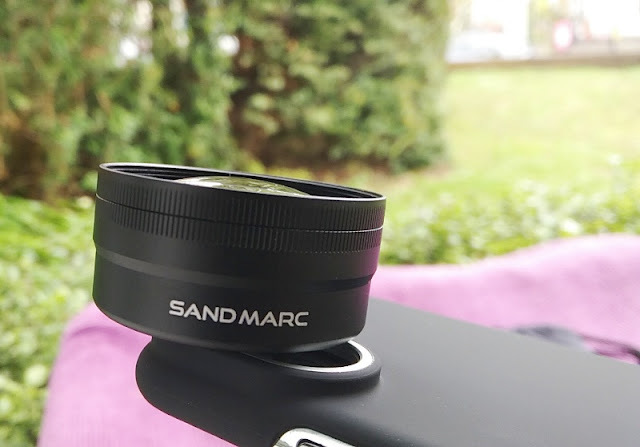 The Sandmarc wide lens is a miniature DSLR like lens for the iPhone X.